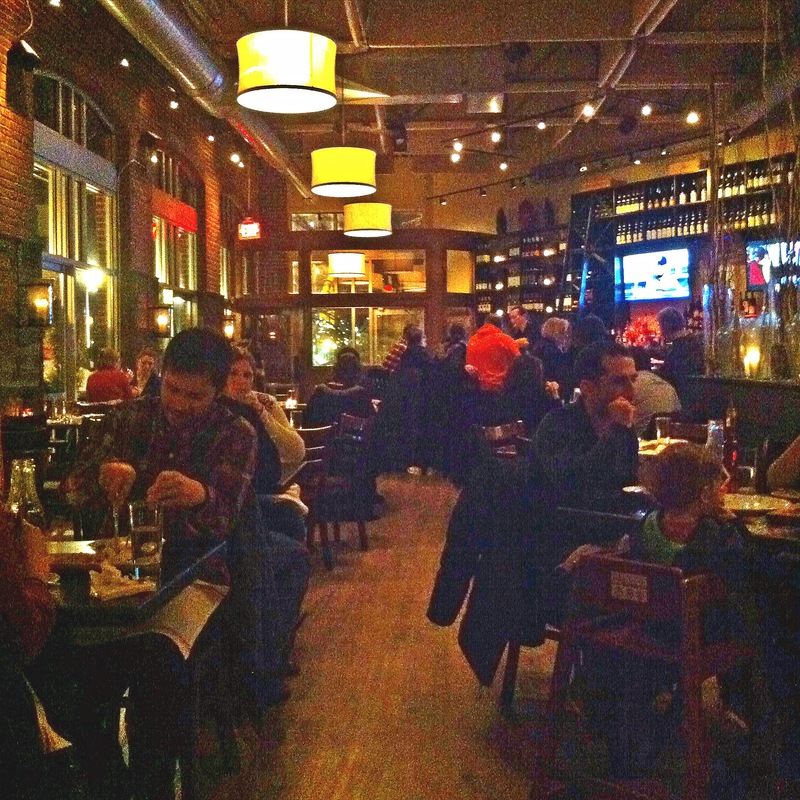 I recently went out to dinner with my co-workers to a place in Davis Square called Posto! Flour is pretty cool to their employees and each team gets an allotment of money to put towards something that improves team morale and whatnot. So we all voted to go out to dinner and Posto was the restaurant that won! Posto is at 187 Elm Street in Somerville, within just a few minutes walking distance from the Davis Square T stop on the Red line. 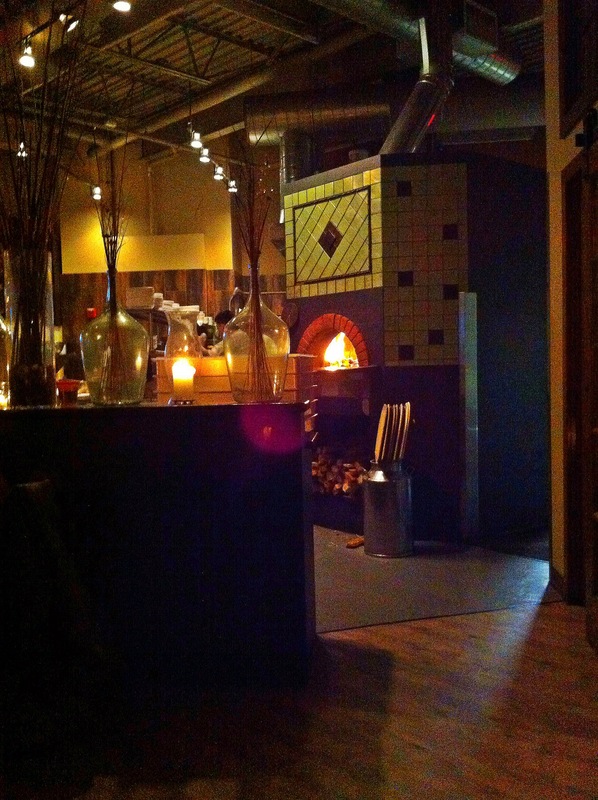 It’s known for their wood burning ovens and famous pizzas and homemade pastas. The menu was super italian and also offered a couple vegetarian options which appealed to one of my co-workers. We were all set! The menu was split into five sections: anitpasti, insalate, pasta, carne e pesce, and pizze. While I was tempted to try a pizza, I was in the mood for some pasta. But first, I had to order a drink! I’m not much of a wine or beer fanatic unfortunately, but Posto had a huge backbar and plenty of fancy italian wines to choose from. Most of my co-workers got a glass of wine but I stuck with what I was comfortable with- a madras (orange and cranberry juice with vodka). For my first course, I ordered their winter salad which had scarlet butter greens, pommegranate seeds, goat cheese and a pommegranate vinagrette. 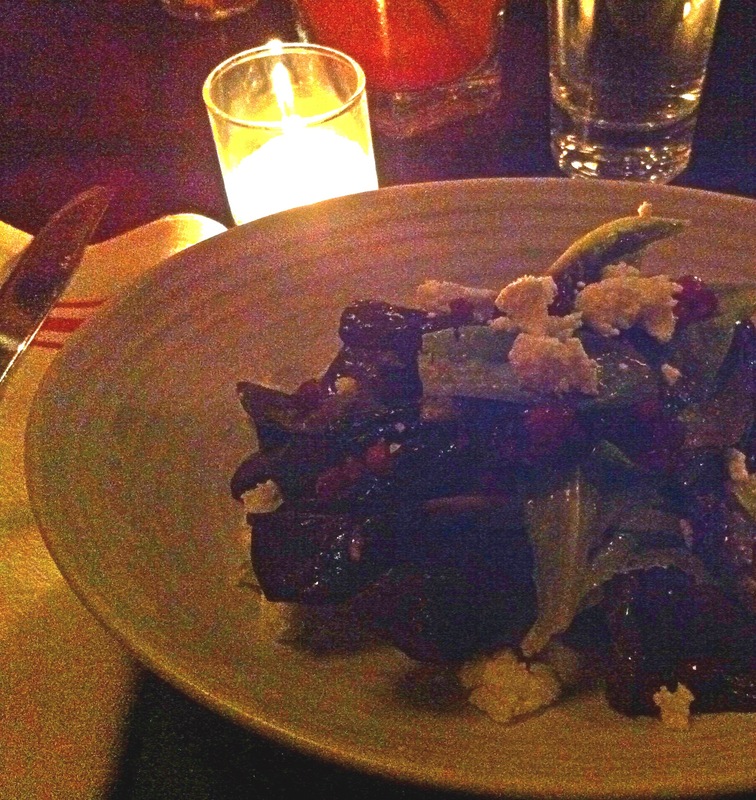 It was a perfectly light salad which incorporated very wintery flavors! Yum! A couple of my other co-workers ordered the Arancini which is basically a fried rice ball with cheese in the center. It came with a spicy marinara sauce, oregano and lemon juice. I was almost sad I didn’t order that, but the salad was a perfect opener to the pasta I ordered which I knew would be a heavier course. 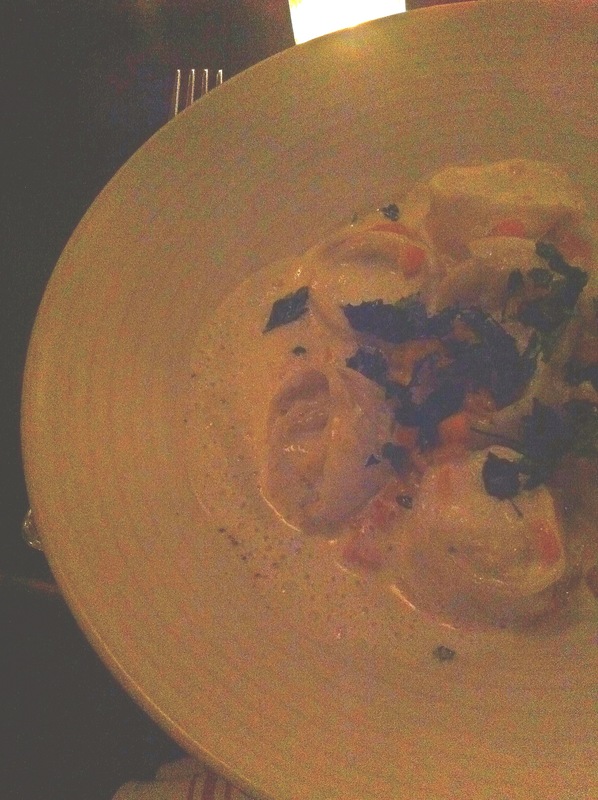 For my next course, I ordered the tortellini stuffed with jonah crab on top of a butternut squash puree and a parmesan crema. Oh man, was this good. Crab and butternut squash are naturally sweet ingredients as far as savory foods good which was awesome with the housemade tortellini and parmesan crema. It also came with diced squash pieces and crispy kale bits on top which really helped add another layer of texture to the plate. It was a good portion for one person, as were all the dishes. We all ended up finishing everything on our plates from both courses. I ended up opting out of dessert but once everyone was finished, I think we were sitting comfortably but not stuffed to the brim. Overall, this place was pretty cool. They embraced their open kitchen and allowed guests to watch them make pizzas that went directly in their wood burning oven which is an added entertainment value to the guests. Service was friendly too which always helps! Sorry about the lighting in all of my pictures; the ambiance was pretty dim and candlelit. Which I guess can be all romantical if you’re on a date (whats that like though?) but I’ve never been a fan of when the lighting is too low. How do you see the person sitting across from you? All in all, I had a great night out with my co-workers and it was cool to try and new restaurant I didn’t know about but was also slightly out of my price range as a poor post grad! Also in Davis Square that I’ve been told to try out is The Painted Burro and Rosebud Cafe. The Painted Burro is known for their lively Mexican food and Rosebud Cafe has a decent dessert menu if you really dig pie! I’m definitely going to add them to my list of restaurants to try in the future!